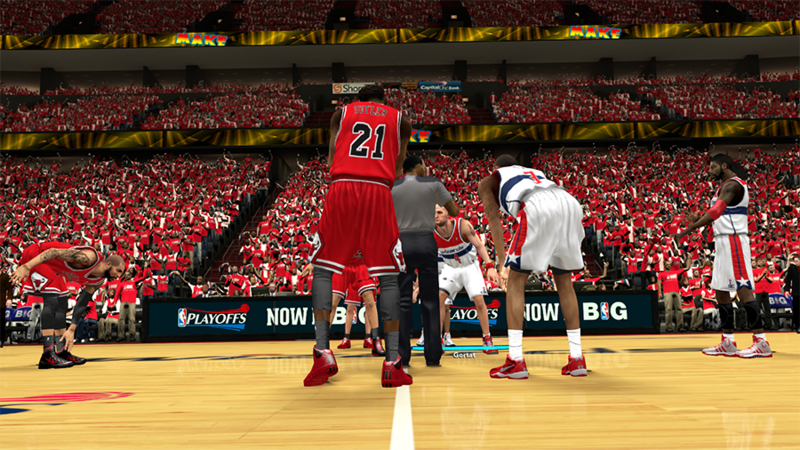 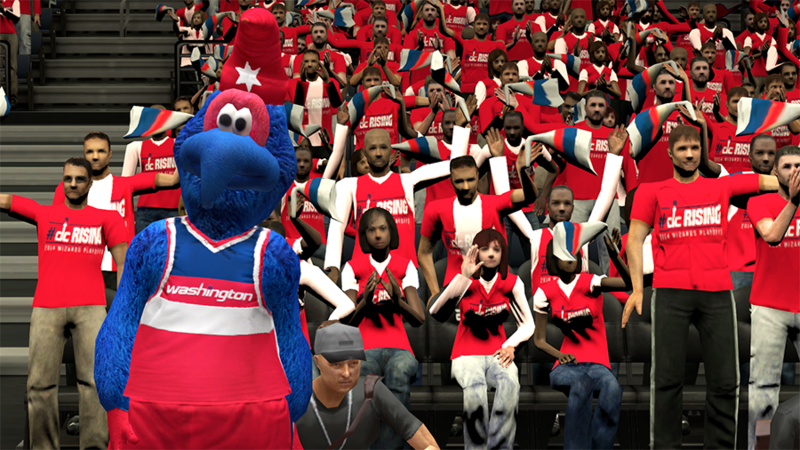 Washington Wizards playoffs crowd mod for NBA 2K14 PC. 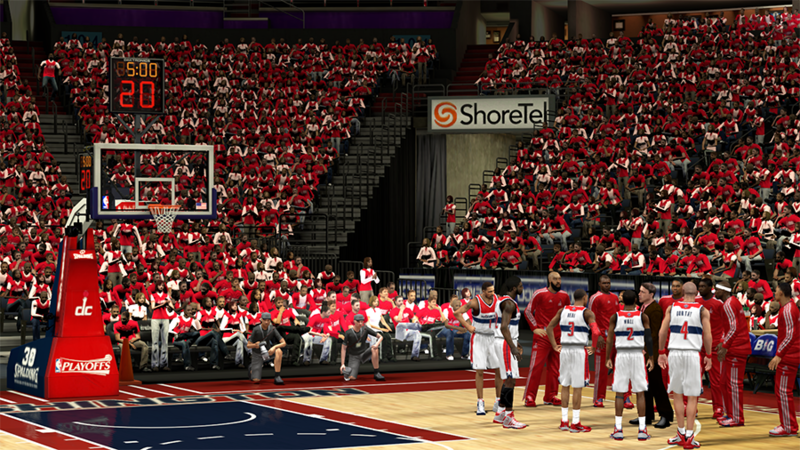 All the fans in the stadium are wearing red/white gears with "D.C. 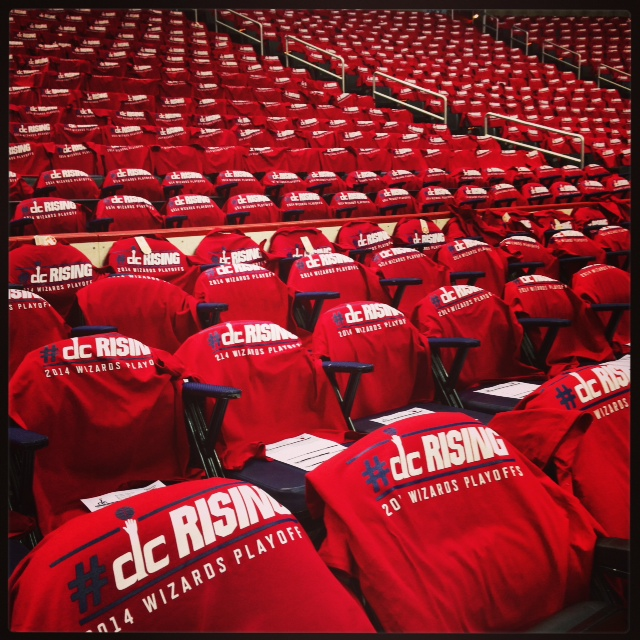 Rising" graphic printed on the shirts, just like the real crowd in Verizon Center.